When Shawn Kelly takes the stage in Sunset Beach, Saturday, Aug. 25, there is little doubt that the lyrics in “Stairway to Heaven” will have special meaning this year. 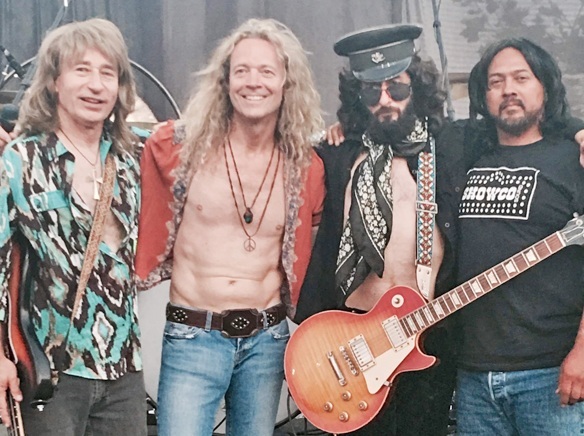 His current band, Zeppelin Rocks, will be the featured entertainment this year at the Electric Magic Classic Rock Beach Fest. Strange Days, a doors tribute band, will open the show. The event begins at noon and ends at 4 p.m.
Of course, it takes immense talent and a special voice to be able to sing like Led Zeppelin’s Robert Plant, and Kelly has appeared in numerous tribute bands over the years. He will reprise the role again as he will in Sunset this year for the 13th annual Electric Magic Classic Rock Beach Fest. What fewer people know is that Kelly is actually the son of two very successful entertainers, Beverly Kelly, aka Bev Kelly, a very successful jazz singer, and Chuck Kelly, also a singer and a great musician. Bev Kelly toured for many years in the world’s top jazz venues and made her name as the lead singer in the Pat Moran trio. His dad has appeared on the Danny Kaye show, Red Skelton and played trombone with jazz great Dizzy Gillespie during his career. Both of his parents enjoyed very successful music careers and Kelly knew somehow, he was going to make a name in the business too. After all, he literally grew up in the music business. Let’s face it, how many other kids have that luminaries like Col. Parker, Elvis’ manager, showing up at their home (asking his dad to play with Elvis) and the experience of having a famous jazz singer as a mom. “I had no formal (singing) training,” he shrugs, “but I listened to my mom giving singing lessons to others for years.” In addition to enjoying a fabulous recording career on her own, she is also credited with teaching some other great singers, including Rick Springfield, how to sing. Kelly’s lived music as a youth and young adult. He spent many a night sleeping on the floor of various studios as his mom, and his dad, in separate instances, recorded with some of the greatest talent of their generation (Pat Moran, Modernaires, Dizzy Gillespie and more). Much of what he heard from the great musicians became to swim around in his mind, eventually taking shape in a career of his own. Kelly has become a performer in his own rite, replicating the unique voice of Robert Plant, of the most popular rock and roll singers of all time. Following his mom’s singing career, she went back to school and to her Ph.D. in Counseling and Clinical Psychology, and had developed a very successful practice until her untimely death earlier this year. Kelly said he is still “devastated by her loss.” His dad Chuck is still living and they still chat about music but he says he will undoubtedly be remembering his mom during this year’s performance and ‘Stairway to Heaven’ will have new meaning for the rock singer. Unlikely as it may have been, Kelly’s journey to the stage was inevitable. He went to college and he took piano lessons, but he knew that his career would be different. He gave it all up and began following his passion as a rock and roll singer, developing quickly as a Robert Plant tribute singer. It helps that physically, Kelly resembles the younger Robert Plant, with a slender physique and long, curly locks that gives audiences the look and feel of the real thing. Today, Kelly makes a living singing rock and roll (mostly in Led Zeppelin tribute bands) and working in the hospitality industry. “It gets me excited,” said Kelly, as he quickly goes through the many gigs he’s got planned and the invitations he’s received from various musicians in the huge tribute music industry. Kelly has made it in the way he chose and couldn’t be more satisfied as he wants to pay homage to his famous musical lineage. Kelly and the other members of Zeppelin Rocks will be onstage this year for the 13th Electric Magic Classic Rock Beach Fest event. 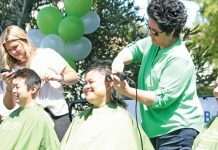 Barbara D’Angelo, Kelly’s friend, said she started the event more than a decade ago to give something back to the “absolutely wonderful” Sunset community. 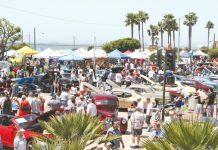 Also, although the community identifies closely with Seal Beach, they became part of Huntington Beach after Seal Beach chose not to annex them into the city years ago. Sunset “has some of the most incredible people,” said D’Angelo, who says proceeds from the event are all reinvested in projects to improve the community. 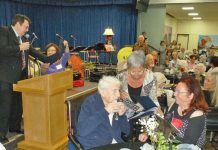 The event will be held at the Sunset Beach Community Center and for fans who enjoy authentic rock and roll, the event has in many ways become a tribute of its own.